Lovely day in Beni today, 3 points would be lovely aswell. COME ON YOU WOLVES NO EXCUSE GIVE THEM THE VERY BEST YOU HAVE GUYS GOOD LUCK. Six very good defenders!!! Not my view. KJ will be here till a new owner arrives. He's safe and cheap and means Moxey doesn't have to risk hiring again, especially after previous disasters. I think KMac would be a big miss, a real quality player. hi from Windsor ,Canada with snow .hi to otto and carly. lets hope for agood game 3 pts will help. Has Kmac been naughty or is he off to Rangers? So let's hope there's plenty for them to get animated about this afternoon! I see KMc isn't on the bench again. It said he might be going I really hope not ???? Hope Michal Zyro gets well soon, going to miss him, and good luck to Jordon Graham can't wait to see him playing next season. Come on wolves give us a great game. Subs: Raya (GK), Henley, Brown, Williamson, Evans, Ward, Jackson. ROVERS: Steele, Marshall, Hanley (c), Duffy, Kilgallon, J. Gomez, Lenihan, Lowe, Grimes, Bennett, Graham. The guys are on air from 2pm with all the build-up and then commentary from the game against Blackburn Rovers. 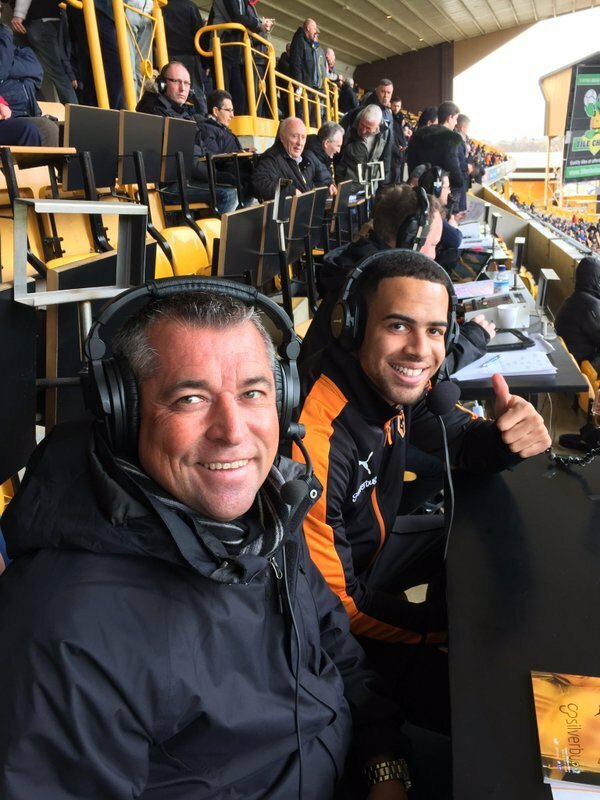 We've missed him on the pitch, but delighted that @JordanG_14 will be joining @BurrowsMikey & Thommo on Wolves Player/@signal107 tomorrow.